Unfortunately, the appearance of stretch marks during or after pregnancy is an all too common occurrence. These pesky lines appear on the stomach around this time because of the great change that occurs in a woman’s body. That’s the problem. The question is, as the title of this article prompts, how to prevent skin tears during pregnancy? In case you’ve already been through your pregnancy and are wondering how to deal with existing stretch marks, I will cover this issue as well. Stretch lines are very common, despite your best preventative efforts. But, thankfully, they are also very much treatable. Therefore, if you too have experienced lines on your stomach, then this article should be of great help. Let’s get stuck in shall we. Why Do Stretch Marks Occur During Pregnancy? Where Can Stretch Marks Appear After Pregnancy? How Do These Creams Work? 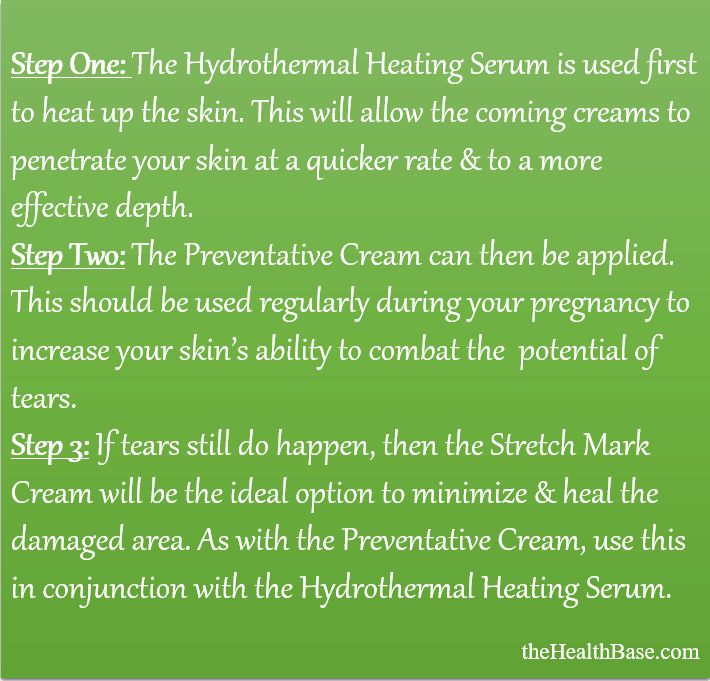 Before I delve into the best methods of preventing and treating pregnancy related skin tears, allow me to first explain the problem and why it occurs. 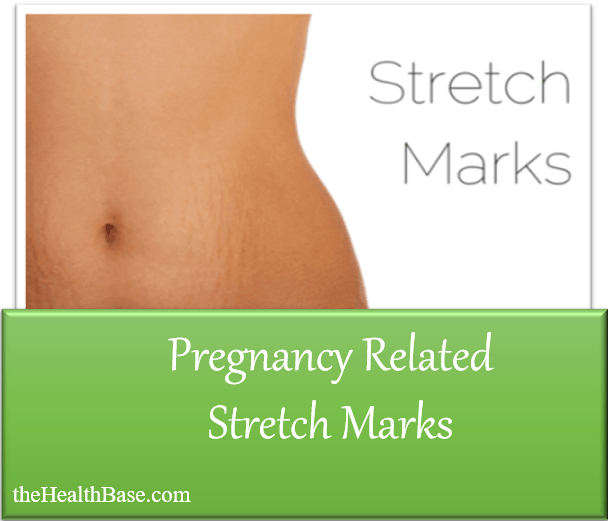 I’ll do this only briefly, but for a more thorough explanation of this topic then please check out our Comprehensive Stretch Mark Guide on the subject. The quick version – marks/lines occur when the body undergoes great change. This most notably happens when a body gains a considerable amount of weight in a relatively short period of time which overexerts our production of collagen. The textbook examples of this are pregnancy, weight gain, or muscle gain. When this gain occurs, the skin stretches to accommodate the new mass. If this happens at a faster than normal rate, then it might cause the skin to tear on an underlying level. This tear will then become evident when the body returns to a more normal size. These tears will be darker in color than the surrounding skin. Stretch marks are very common in relation to pregnancy because of the quite extreme change that occurs within the body over just a few months. While, obviously, being pregnant is a beautiful and completely natural thing, sometimes the body struggles to adapt to the rapid change that takes place – thus, tears and accompanying lines will occur. Pregnancy is without doubt the most challenging and testing change that a human body can undergo. A woman’s body experiences considerable change during the nine or so months when she is carrying her child. As a result, there a several areas where lines may appear. The most common of these areas are the abdominal area; the upper thighs; and the breasts. In particular, the tummy and the breasts of a woman expand to a considerable size during this period. Because of this rapid change, tears are a real possibility and therefore so are stretch lines. Before I launch into the best method of prevention, please take a look at the below info graph which supplies some common-sense steps that could greatly diminish the chances of stretch marks appearing. While the above mentioned steps will go a long way to minimizing the occurrence of tears, the risk is still quite high when it comes to lines appearing. So then, how do we further prevent stretch marks during pregnancy? Well, the answer is quite simple – we turn to a product that has been specifically created to fight the appearance of this skin ailment. Because of the regularity in which stretch lines occur, it was no surprise that companies and brands would put on their scientific hats and construct creams that could deal with this issue. And this is exactly what they’ve achieved. Nowadays, there are multiple brands that deliver high quality creams that have been created for two sole purposes – to either prevent skin tears occurring, or to treat and minimize any existing tears. These creams work to penetrate your skin until they reach the areas where tears often occur. When here, these creams supply your skin with the needed nutrients and support that is badly required during the period of being pregnant. This overall greatly reduces the chances of your skin tearing and pregnancy stretch lines occurring. With regards to the individual brands and packages available today, we at the Health Base were particularly fond of the TrilAstin’s Mommy Bundle – this bundle is great because it supplies a mixture of a Preventative Cream, a Stretch Mark Cream, and a Hydrothermal Heating Serum. These three elements work in conjunction with one another to boost your skin’s capabilities of dealing with potential or existing tears. Take a look at the info graph below to see exactly how each should be used. All in all, we found this package to be super effect in dealing with any pregnancy stretch mark issues – whether it be your attempts to stop tears occurring, or trying to remove skin lines that are already present. For a more thorough look at the TrilAstin product range, or in fact any of related content, please take a look below at the grid for the relevant links. In particular, I highly recommend taking a peek at our Stretch Mark Treatment & Prevention Guide. P.S. It would be remiss of me to not mention skin lightening - this is an area that can also help with stretch lines. While we at the Health Base would recommend a top cream like TrilAstin, skin lighteners can also be an effective option. Find out more about this in our Skin Brightening Guide. TrilAstin-SH Review – The Answer to Stretch Marks? SkinBright Review – Skin Lightening at its Best? I'm Hannah and I've been writing for The Health Base for three years now. When not doing so, I'm kept busy running my beauty salon and keeping my three young kids out of trouble! Sometimes both at the same time! Shoot me any queries that you might have - let's talk!.